A full refund will be provided if cancellation is requested before 30 days of the event. If you need to cancel your registration within 14-30 days of the event, we will refund you 50% of your registration. Refunds will not be provided if cancellation occurs 0-14 prior to the event. If there are extenuating circumstances, please contact us ASAP to discuss options. We are committed to providing a conducive learning environment for all attendees. Quiet infants in arms and non-separating children are welcome. Please be respectful to other attendees and step out of the room to meet your child’s needs if noise is a concern. 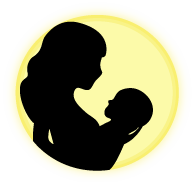 Most workshop locations have a separate space for parenting/milk expression needs, please ask us if you need certain accommodations.